A version of this article appears in print on April 9, 2017, on Page A16 of the New York edition with the headline: Beneath the Spanish Moss of Florida, a Treasure Chest of Chinese Literature. 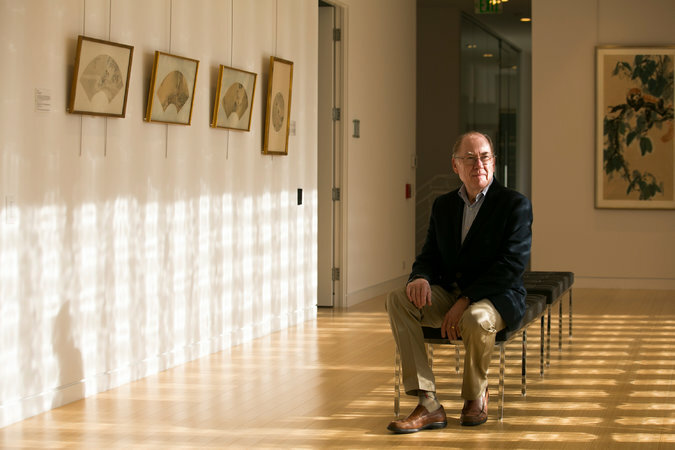 SARASOTA, Fla. — In 1971, Elling O. Eide was a promising young scholar of Chinese poetry, working on his Ph.D. thesis and teaching at the University of Illinois. Then came a letter that set in motion the creation of either a wonder or a folly: a great library of Chinese literature housed amid the Spanish moss and alligator ponds of Florida’s gulf coast. The newly opened library is a testament to one man’s vision — tunnel vision, some might say — of bringing a sliver of the academy to this quiet area of beaches, bars and subdivisions. 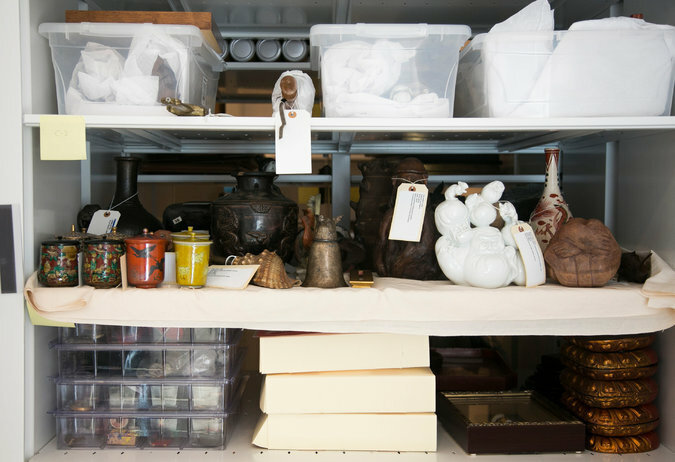 Instead of hiring connoisseurs and agents to buy up recognizable treasures, he worked mostly alone, pursuing a passion that few neighbors were aware of until after his death five years ago. In some ways, the main actor is the property itself. Mr. Eide’s maternal grandfather bought it in 1935 and summoned his daughter and son-in-law from Chicago to look after him. Mr. Eide was born there that year but left to attend Harvard, serve in the Marines, study in Taiwan and pursue a career in Chinese studies. But he could not escape the property’s pull. In 1968, his parents inherited the 92-acre tract but found it hard to maintain, with its overgrowth, decrepit buildings and rare trees that his grandfather had bought. In 1972, it was their turn to summon their child to Sarasota to help, writing him to come back home. Mr. Eide took a two-year leave from academia, thinking he could put the property in order, help his parents build a retirement house and get back to his world of scholarship. But the new house was more work than he expected. His parents became ill. The Internal Revenue Service began an audit. Slowly, family members and friends say, Mr. Eide slid into depression. His father died in 1978, and his mother five years later. By then, the once-young scholar was 48, too old to restart his career. Instead, he decided to bring the world of Sinology to Sarasota. Already a voracious collector, he doubled down on his passion, buying entire collections of academic journals and books. His research specialty had been China’s most famous poet, Li Po, who lived during the Tang dynasty of the seventh to 10th centuries, often called China’s greatest. That dynasty became his focus. He amassed 75,000 volumes, including 50,000 in Chinese: one of the largest private Chinese-language libraries in the world, and larger than many well-known universities’ Chinese collections. The project reflected what friends and relatives call Mr. Eide’s sometimes-manic personality. A onetime fitness buff with a dark brown beard, he became a paunchy recluse. He wore old clothes, chain-smoked Winstons and drove a beat-up Volkswagen bus. He poured his efforts into acquisitions but often neglected the details of cataloging and housing the books. 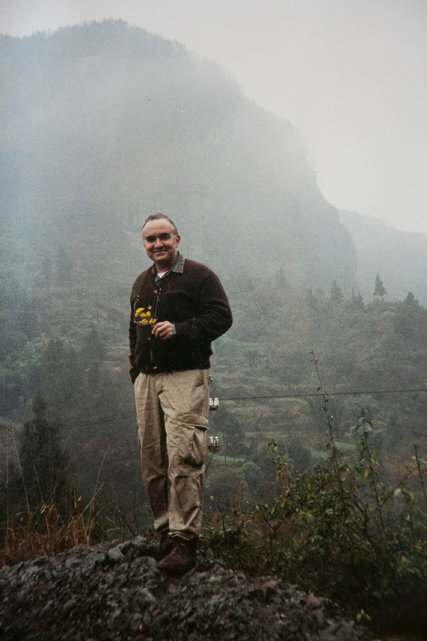 Mr. Eide in China in the 1980s. 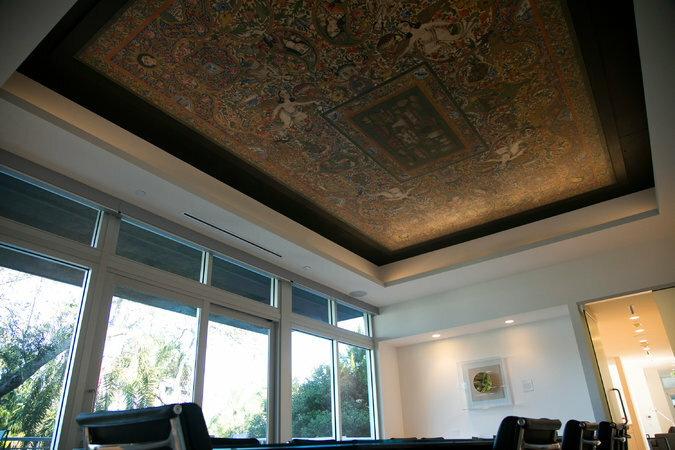 Before he took over the property in Sarasota, he was a scholar studying Chinese poetry. Instead, his treasures sprawled across the property like shipwrecked chests. Some landed in wooden sheds, others in old shotgun shacks, and many in his ramshackle house. All the buildings were stacked floor to ceiling. He kept air-conditioners running to prevent rot, but the space was unusable for any visitor. Part of the problem was financial. Mr. Eide dreamed of a proper library, but his income was mostly limited to rent from another tract of land, and further diluted by his generosity. He underwrote scholarly publications and conferences. 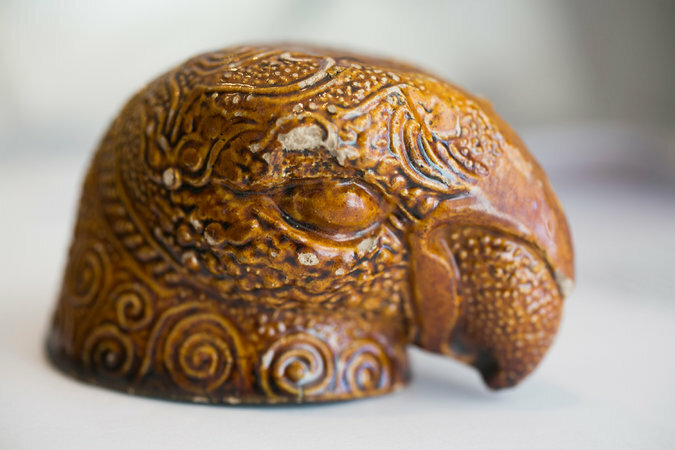 He set up a hotline for scholars who needed material on the Tang dynasty, hiring an assistant from China who lived with his family on the property. He and the assistant would scour his collection and send the needed works around the country. Most famously, he paid for a grand buffet reception at the annual meeting of the T’ang Studies Society. Though rarely present himself, he wanted the scholars to eat his favorite smoked sturgeon, enjoy an open bar and generally experience the sort of refined and elegant life that he associated with the Tang dynasty. Mr. Eide’s goal was to pay for the library by selling some of his land. But he was stymied by Sarasota County officials, who balked at rezoning the largely pristine pine forest. He felt this was unfair: In previous decades, many neighbors had turned their forests and mangrove swamps into strip malls and condos. Why should he be victimized by the state’s newfound interest in the environment? But the delays ended up helping him. When he finally won approval to rezone 20 acres, it was 2005 and near the peak of the real estate bubble. He got $1 million an acre from developers who wanted to build a mixed-use project. He hired a local architect and began work on his library. By then, though, his health was failing. In 2011, he had a series of strokes. He asked for help from his cousin Harold Mitchell, an insurance agent in Chicago who had been in awe of Mr. Eide since his childhood. Mr. Mitchell knew all the family stories about how Mr. Eide was an expert unicyclist who became a cheerleader at Harvard, pedaling along the sidelines at football games with a giant bone in his hand to stir up the crowd. So Mr. Mitchell agreed to move down — the fourth in his family to be drawn into the property’s orbit. A genial dealmaker, he settled permitting issues and ironed out the countless details of building a large library and visitor center. His eyesight deteriorating, Mr. Eide could hear the machines pounding the pilings into the earth but couldn’t see them. In 2012, with the building still a skeleton, he died. Mr. Mitchell became president of the Elling Eide Center, a registered charity whose trustees include Professors Mair and Chennault. Now 66, Mr. Mitchell has spent the past five years seeing the project to completion. The bright, airy building opened last autumn for the annual conference of the T’ang Studies Society. But there is one obvious problem: What to do with a giant collection of Chinese-language books in a part of Florida with no university specializing in that field? Mr. Eide once thought of donating the material to a university. But he wanted it to stay here, and the trustees say they think it can work. They are setting up a fellowship to help researchers travel to Sarasota and stay on the grounds. And with China’s rising place in the world, they hope that the center will begin to make sense.